Alex Lustig , 82, of 721 Meadowbrook Drive died Tuesday at Crouse Hospital. Mr. Lustig was a life resident of Syracuse . He was a Navy veteran of World War II and a self-employed cattle dealer in the Central New York area for many years, retiring in 1989. 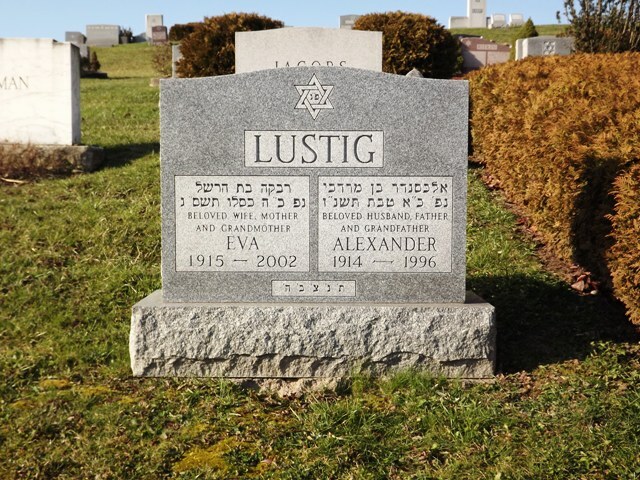 Mr. Lustig was a member of Temple Adath Yeshurun, the Men\\'s club of the Synagogue, and active volunteer and coordinator for the Bingo Fund Raising at the Temple for many years. Surviving are his wife, Eva of Syracuse ; two sons, Herbert of Williamsville and Jeffrey of Liverpool; a daughter, Maxene Alderman of Manlius; a brother, Carl of Syracuse ; a sister, Dorothy Raichelson of Tamarac, Fla.; five grandchildren; and several nieces and nephews. Services are 11 a.m. Thursday at Birnbaum Funeral Chapel. Burial is in Adath Yeshurun Cemetery. Calling hours are 10 to 11 a.m. Thursday at the funeral chapel, 1909 E. Fayette St.